All Midland post frame buildings are custom. They are tailored to the unique dimensions each customer wants. We offer a variety of options on every building to meet the customer’s exact specifications. We offer a large variety of building types from agricultural to commercial and post frame buildings for storage solutions. 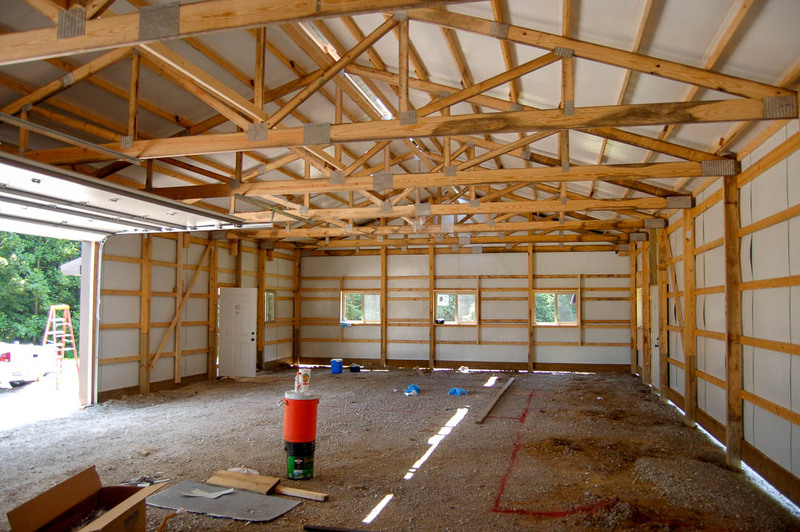 Our commitment is to build the highest quality building possible and offer the customers only quality material to insure their building will be around for many years to come. Take your existing building and make it bigger, wider, taller, or more secure. We also offer reroof, re-side, new doors, lean-tos, additions, stalls, lofts, gambrel roofs, concrete work, excavation, rv storage, storm damage repair, restorations, and much more. Call and describe your plans, we’ll make it happen. Midland Post Frame Buildings is located in Danville, Indiana just a few blocks south of the square and local historical district.